Matt Bomer "Shoutout to all those marching today. Be safe. Be proud. 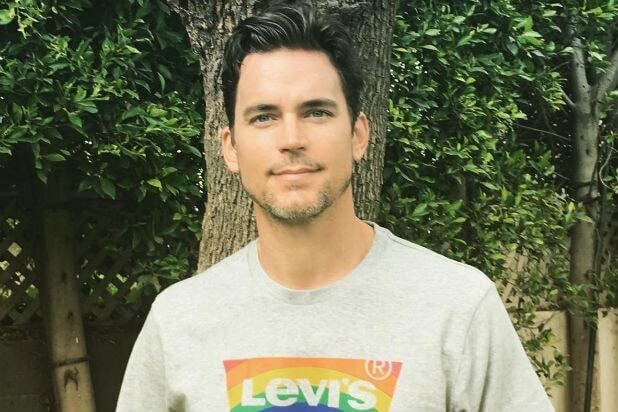 Love you all," actor Matt Bomer wrote on Instagram. 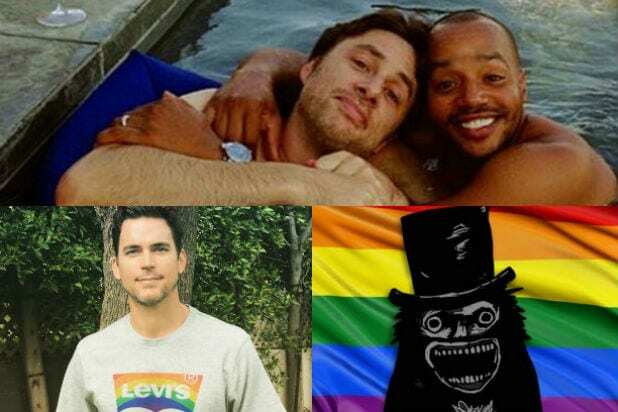 Zach Braff and Donald Faison Former "Scrubs" stars Zach Braff and Donald Faison remind us of their well-documented bromance. "Happy Pride. Love is love," Braff captioned this adorable Twitter hot tub-rose shot. Lea Michele "Glee" star Lea Michele also points out that Pride was book-ended with another monument of the LGBT community. "#Pride and @TheTonyAwards tonight... I might explode. ????????❤️??? ?," she tweeted. Demi Lovato Singer Demi Lovato hosted a private pride party with guests Iggy Azalea (left, pictured with Lovato) and L.A. Pride performer and "Real Housewives of Beverly Hills" star Erik Jayne (right). Lady Gaga Lady Gaga got her pride on early, kicking off the weekend in this rainbow-colored look. Miley Cyrus Miley Cyrus busted out a patriotic baby picture to mark her gig headlining Washington, D.C. pride. "Let's keep this beautiful event safe and full of L.O.V.E !" she wrote on Twitter. The BabdookNewly-minted LGBT icon The Babdook was represented all over Los Angeles pride, to hysterical and inspiring effect. "We love our LGBT brothers, sisters and metaphysical manifestations," one LA pride goer wrote of the fictional horror character from Jennifer Kenth's 2014 film. Margaret Cho and Chris Rock Rock joined his fellow comedian for the the Los Angeles pride, which was a #Resistance march. Haim The family band are one of the performers at Los Angeles Pride, and kicked off the resistance march on Sunday morning. Sophia Bush The actress showed off a "unicorn" hairdo on Instagram.